A Fantastic Four fill in team. Grey Hulk smash! 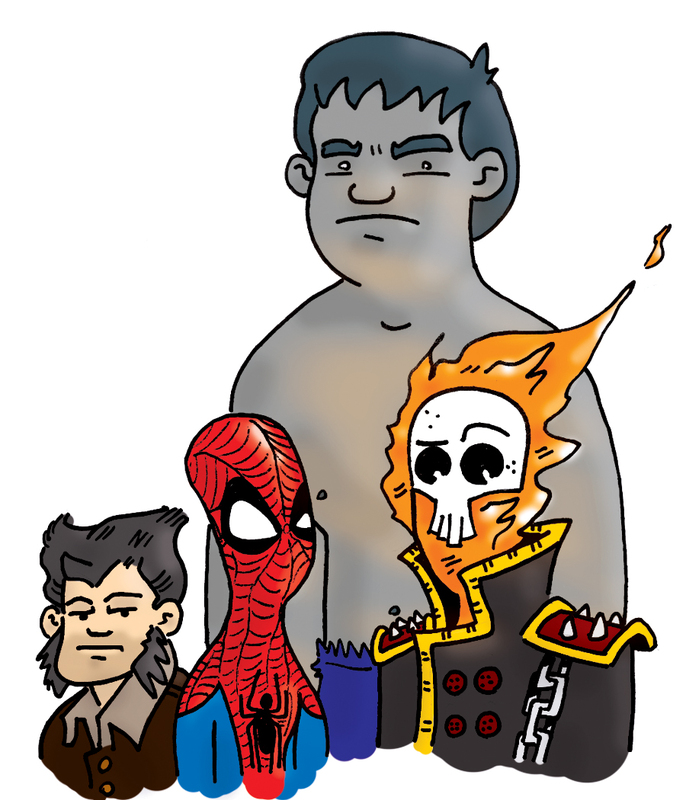 This entry was posted in Comic Books, Miscellaneous and tagged Doodlehoose, FF, Ghost Rider, Hulk, Matt Hoose, Spider-man, Wolverine. Bookmark the permalink. This rocks. I love it. Thank you. I thought it turned out pretty good.